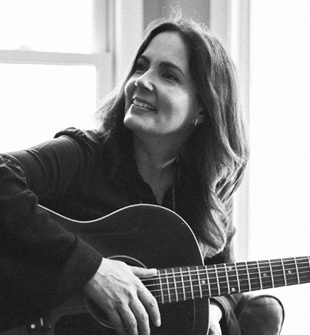 Grammy-winning singer/songwriter Lori McKenna has accomplished what few songwriters are able to do. The Stoughton, Massachusetts resident has scored major hit country songs without living in the songwriting community of Nashville where her material is recorded and published. Her tunes have been laid down in the studio by top artists including Tim McGraw, Keith Urban, Reba McEntire, Alison Krauss, and Faith Hill. Most recently, McKenna’s song “Humble and Kind” (recorded by Tim McGraw) hit No. 1 on the Billboard Hot Country Singles chart. Notably, it was the first time in more than four years that a song penned by only one writer topped the chart. In 2015, she co-wrote Little Big Town’s smash chart-topper “Girl Crush,” that earned McKenna her first Grammy award (for Best Country Song), and the CMA award for Song of the Year. McKenna also has won critical acclaim as an artist—she has released a total of 10 studio albums including her latest, The Bird & The Rifle, which will be released this week (July 29). This new album has already won the praise of Rolling Stone magazine and NPR. The Bird & The Rifle was produced by Dave Cobb, a Grammy-winning record producer who has worked with Chris Stapleton, Sturgill Simpson and Jason Isbell. Rolling Stone previously named McKenna’s 2014 album, Numbered Doors, one of the “40 Best Country Albums” of the year. In 2015, she signed with Creative Nation for music publishing and management, and this month she is embarking on a nationwide tour in support of her latest work. 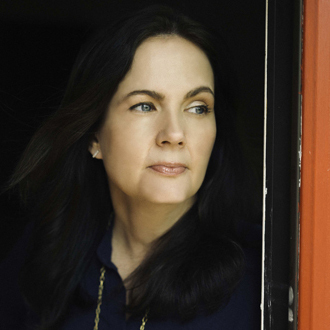 We are pleased to bring you this new interview with Lori McKenna. She talks about how she broke the conventional advice of securing a songwriter career from afar, why she never thought her biggest hit, “Girl Crush,” would even be recorded, and how her artistic side affects her songwriting process. BC: On your new album, the production seems to showcase your voice and the lyrics more. Do you prefer production that gives your music a more intimate, personal sound? McKenna: I’m definitely always drawn to the producer that’s going to do that because I’m such a lyrical listener. As a fan of music, I’m always drawn to productions where the words stand out more than other times, and I think that’s what one of the many things Dave Cobb is great at production-wise. BC: Your first single, “Wreck You,” includes the lyrics you wrote: “I don’t how to pull you back, I don’t know how to pull you close, All I know is how to wreck you.” Can you talk a little about what that means in the song? McKenna: That’s the oldest song on the record. That song is about 8 years old. I wrote it with my friend, Felix McTeigue one day at my house. I don’t play it at shows very often. I hadn’t before this record. It’s been cut by several different artists. Heidi Newfield recorded that song years ago. It’s one of those songs that never went away. You take the emotion of whatever is going on in your world and plug it into something else as a songwriter sometimes. For me, it’s about my family in the way that my work has travel involved in it. No matter how hard you try to balance it all, there are times when it gets unbalanced unfortunately, and that was where that really came from. Man, I’m trying to do the right thing here, but I keep getting people upset at me in the process (laughs). Through the years, I think that’s kind of why it’s stuck with me. You try real hard to keep your priorities straight. You try real hard to love the people you love in a giving way, and you end up taking sometimes unintentionally. It’s one of those things, the whole pull and tug of most people’s careers, especially people who like to work. That’s where the balance comes in—the pull between the time we spend with the people we love and the time we’re working on something we love. BC: You have the artistic side and the songwriting side. Have you ever had the desire to spend more time being the singer? McKenna: My favorite part of the process is always the writing. A songwriter wants to write songs forever. When I’m 85, I feel like I’m still going to write songs. I love writing songs. That’s always a part of me that wants to keep going. I kind of put the touring aside for a few years because I wanted to focus more on co-writing and more writing for other people. In the end, what I learned is that I really sort of need the artist side of me to inspire the songwriter side of me. I’m not as comfortable on a stage necessarily as I am in a writing room. The artist side of me is an important side of me to keep alive just for inspirational purposes more than anything. BC: What does it give you to perform your songs versus hearing someone like Tim McGraw sing your tune, “Humble and Kind”? McKenna: It’s such a beautiful compliment when someone wants to record something that you’ve written, and they weren’t in the room when it was developed. That song, “Humble and Kind,” is remarkable in a way. It’s a very simple song. It’s written over a three-chord progression. It doesn’t change…it’s a simple melody. The rhyme scheme is simple because everything kind of rhymes with kind (laughs). I saw it as this message to my kids. I was ending my shows with that song for awhile. I knew I would record it someday, but I didn’t really see it the way he saw it as such a big message. I’m playing for 200 people, and he’s playing to 15,000 to 20,000. We have a different audience in that way. I think that’s one of the greatest things about songs. We can hear the same thing and understand it very differently from one another. That song has been such a blessing to me because it’s still me, but I feel like, in a way, because of what he brought to it, I feel like we wrote it together in a lot of ways. BC: You said you’re focusing more on co-writing, but you’ve written quite a few songs by yourself. When do you know it’s right for you to co-write versus doing it yourself? was written by Lori McKenna. McKenna: Sometimes I can tell by the title. I had a song called “Make Everyone Hurt.” Sitting in a writer’s room, if I ever brought out this title, they would be like, “Oh, God! That sounds so sad.” I’m very happy in real life, but I do like sad songs. Sometimes even they come out a little too sad even for me. Sometimes I know from the title if I think this is going to be hard to explain to somebody else. Some of my friends that I’ve become really comfortable writing with, I can do that like Barry Dean. [I’d say] Okay, I have this idea. I don’t know exactly what it is, but it’s this title, and it sounds crazy, but I swear there’s something in it. I just don’t know what it is, and he’ll pick it through with me and let me go at my own pace. Other times I happen to be by myself. I live in Massachusetts, and I have co-writers here but not all the time. If I’m Nashville, it’s usually like three days at a time. Most of the time I’m over here by myself. It’s sometimes just because of the fact that nobody else is in the room when the idea strikes and when I have time to sit and pick at something. BC: When you write, do you follow your muse to see where it leads artistically, or do you guide the writing so that it is commercially acceptable? McKenna: I do have friends that can do that. We can get to a point where it’s like if we don’t do it this way, we’re going to like it but maybe nobody else will. If we go this way, it may open itself to a little bit more of an audience. I’m not very good at that. I think because I actually prefer the songs that maybe less people prefer. I like the ones that are very specific, and then, they lead your mind to paint the picture. I like songs that sort of pick a topic apart. I’m not really good at fast songs either. Most commercial songs tend to be a little faster. It’s funny, I co-wrote a song called “Girl Crush,” that was a big hit for Little Big Town. When I wrote that with Liz Rose and Hillary Lindsey, we literally finished and said nobody’s going to cut this song (laughs). It’s super slow. You have to listen to the whole thing to get it. There was nothing commercial about that song. It was the biggest song I’ve ever had. You never know. You don’t know how a song is going to hit an artist. You don’t know what they’re going through at the time when they hear it if it’s going to resonate or not resonate. The songs that I usually pick for myself when I’m recording are songs that I just can’t forget about it. I’m proud of them, or I love those for a certain reason. BC: You strike me as a person who is a thinker and a more analytical person. Is that correct? Crush,” which was co-written by Lori McKenna. McKenna: I think I might be the opposite. I do get to over-thinking sometimes. It’s usually in the second verse of a song. I think I’m more of a feeler than a thinker. I have a lot of great songwriting friends that are just so smart in their lyrics sometimes. I think my lyrics are really simple. I like lyrics that sound like a conversation. I think a lot about writing, but I don’t think that I’m the smartest lyricist you’ve ever met (laughs). I think there’s a lot of others that have me beat in that category. BC: Do you consider lyrics or melody to be your strength? McKenna: I might be a little bit stronger lyrically. My melodies are pretty simple because I really like those structures most of the time, and I think my voice lends itself to that. My favorite songs are the ones where it all comes together. I think the best written songs, in general, are the ones where the words find the melody. That’s why I like to start with titles, or I just play and mumble. BC: Do you enjoy co-writing as well as writing on your own? McKenna: I love co-writing. It really, for me, was where I found my community of musicians because I’m not the type of player that can add a part to someone else’s song. I’m not great enough on guitar where I can just jump up onstage and start playing with somebody, and I’m not a great enough singer that can harmonize without somebody teaching me the part. But in the co-writing world, I sort of found my community. It really opened a lot of doors in my head being able to co-write. It’s been a great blessing for me. BC: How do you make the logistics of a songwriting career work so well with the Nashville community when you live in Massachussetts? McKenna: I think there’s been a lot of luck involved in really what I’ve been able to accomplish. Early on when I started with the publishing deal, which was like 2005, my kids were little, and all of them were in public school here. The idea of moving to Nashville was really hard at the time. It’s one of those deals where my family’s here, my husband’s family’s here; this is home for us, and we would really miss it if we weren’t here, and the kids would miss it. Also, it’s good for me to not live in Nashville. If I lived there, I think I’d want to write every day. I have a lot of friends that do write every day. I’m just not an everyday writer. If I tried to do this every day, I’d be watered down I think. I think I’d be a little burned out by it. I’ve been able to balance it a little bit more being up here and writing for inspiration. 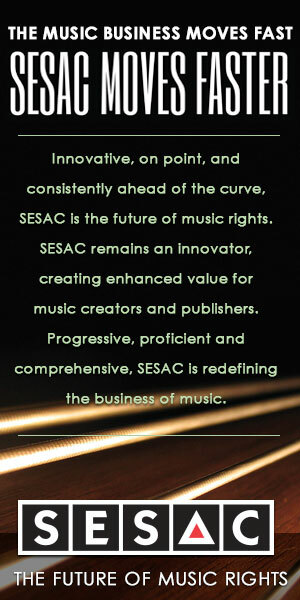 BC: What advice do you have for songwriters? McKenna: Sometimes people write songs, but they don’t play anything. I think that it’s much harder for someone to write songs and not be able to interpret them themselves in a room with an instrument and their voice. I know a lot of songwriters that aren’t amazing singers, but they can still interpret their songs in a beautiful way, and I think that’s important. Another thing I would say is that you have to keep doing it. I’m not a very good editor as far as going back and picking songs apart. I just try to write another one. I think that we can’t get too precious about it. We have to be honest and say what we set out to say, and if that isn’t right for the song, then try it again with another song. Just keep on doing it.